Cerrone Supernature is another one of those LPs I seem to have a few of, an LP so dominated by a brilliant first (and, tellingly in this case, title) track that the rest of it, when listened to is all a bit redundant. In fact thinking about it properly I have loads of these. Anyhow, I bought this LP in 2005 thanks to my beloved Goldfrapp using it as intro music on their own Supernature tour, pinching the name in tribute for their own Supernature LP and Alison Goldfrapp talking about it in interviews. It cost me mere pennies on Ebay and boy, oh boy I wasn’t disappointed when it arrived and I ripped off the wrapping to reveal a cover beyond all parody. A skinny, in all probability quite dinky, yet strangely stooped, French disco dude wearing what looks like a larger man’s shirt and, come to that a larger lady’s necklace and endearingly taken-up jeans (you can see the hemming), sporting the merest, wispiest ‘tache I have ever seen. That’s not all. 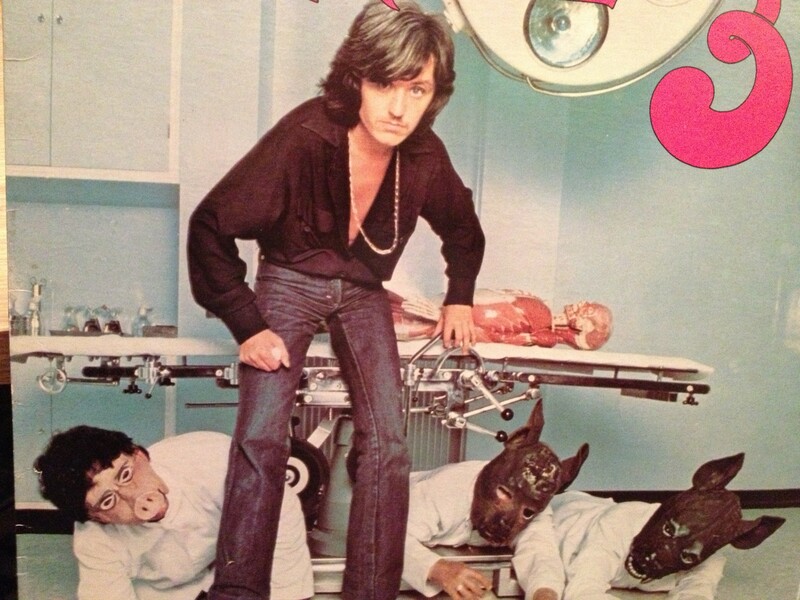 The cover pic has been taken in some kind of clinic/lab affair and crouched under an operating table are the three gentlemen in lab coats modelling the least-convincing papier-mâché animal heads ever created. Trust me. 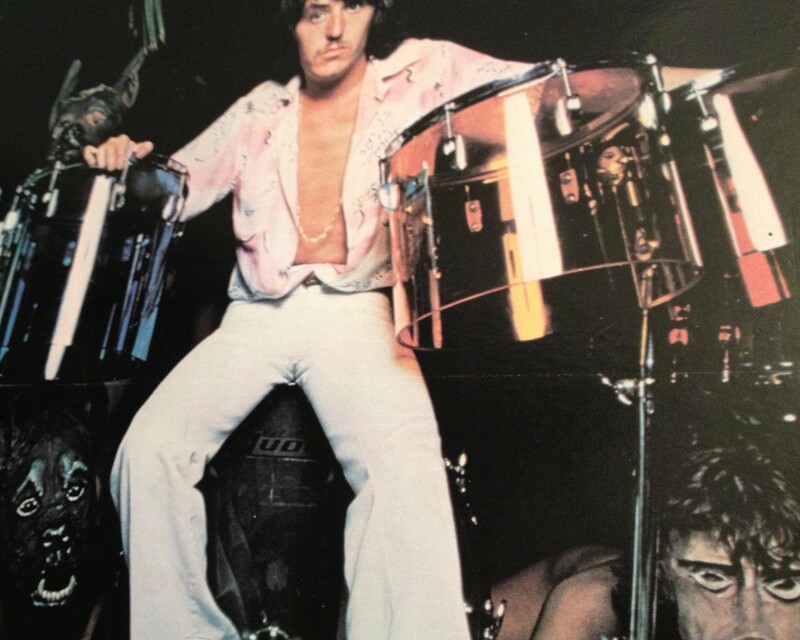 The back cover has what would appear to be 2 naked female, I think, animal headettes crouching below the, quite frankly worried-looking Mr Cerrone’s drum set. Mr C this time sports an understated pale patterned shirt open to his waist, the vague concept of a moustache graces his upper lip and again a larger lady’s necklace and white trousers which, disconcertingly, very disconcertingly in fact conspire, along with zip trouble I’d imagine, to actually give him a cameltoe. Word up! 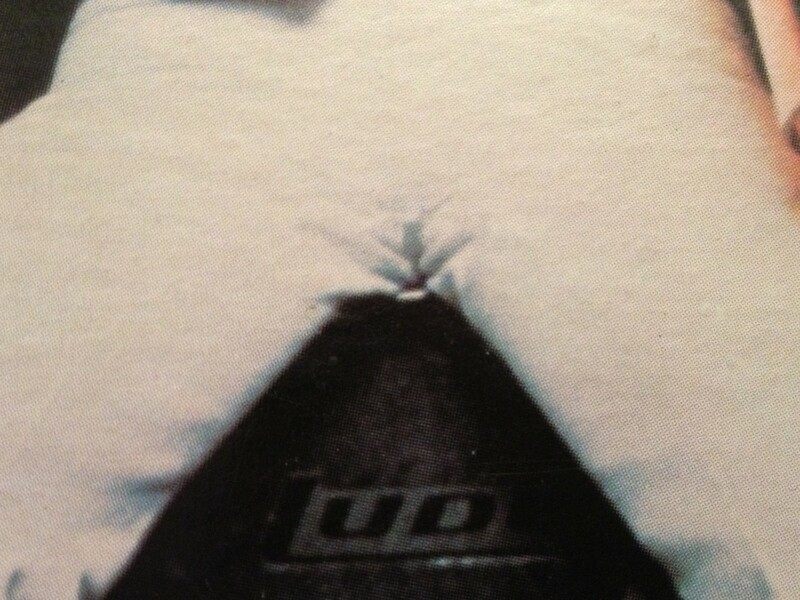 I tell you what readers, the things I do for you, I must have spent a good 15 minutes of my evening peering intently at the crotch of a French disco sensation for you today. But I’m not here just for cheap laughs at the fashions of yesteryear at the expense of people vastly more successful than I, lets get to the music. ‘Supernature’ is just brilliant, 10 minutes plus of driving disco drumming, trilling synth riffs and batty, if heartfelt (penned by Lene Lovich) lyrics about the folly of meddling with nature – Spoiler alert: the monsters thus-created will wipe humanity from the globe, a Discopocalypse, if you will It could easily be longer, in fact it should be longer. I love every lunatic second of it. The credits are perfunctory, even by standards of the day (1978) and so I have no idea who actually sings on the track at all, or anything useful like that – apparently the original French version had a gatefold cover which featured 4 naked chicks, bonus flesh! ‘Supernature’ segues seamlessly into two other tracks ‘Sweet Drums’ and ‘In The Smoke’ which sound pretty much like instrumental versions of what has gone before, except with even more drumming which is absolutely fine by me. I have a bit of a problem with the second side though, 3 tracks all with the word ‘love’ in the title, lots of Euro-disco beats but no bite or originality. Forget side 2, side 1 is good enough. I do award Mr Cerrone bonus points for keeping Supernature down to roughly 35 minutes, I like LPs that are to the point.